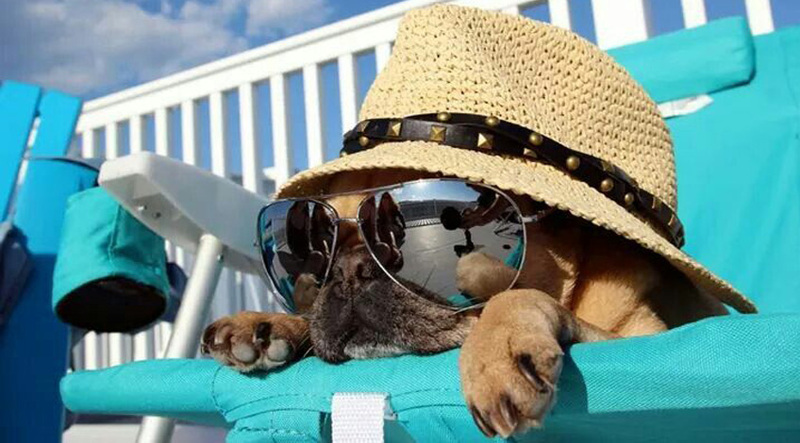 Dogs love to travel and enjoy the great outdoors just as much as we do! This selection of dog travel supplies and dog car accessories will ensure your pooch is both safe and comfortable during these school holidays. The Snack-Duo with Travel Cup by Popware delivers both water and snacks for your dog when you are both on the go. It is the first reusable bottle with two side-by-side chambers so you won't have to carry both a food container and water for your dog. 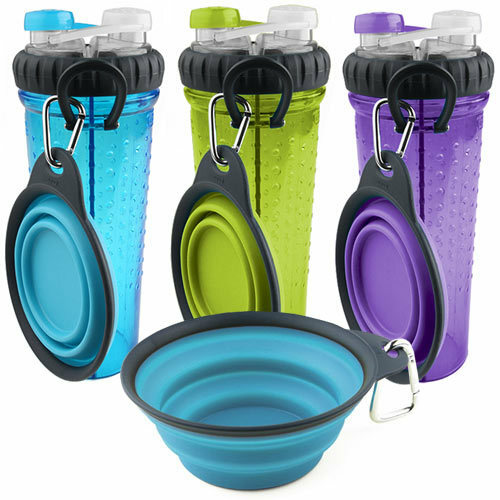 Simply flip open the lid to dispense treats or kibble, then pop open the cap to pour a cool drink of water in the attached collapsible cup (holds 225ml). This is a great product for road trips but also dog parks, running and hiking. The plastics don't contain any BPA. The EzyDog CLICK Adjustable Dog Car Restraint is effectively a seat belt for dogs. 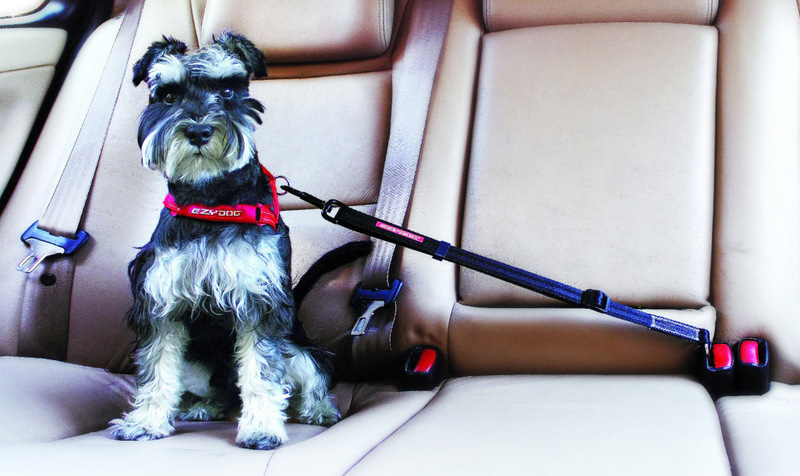 Simply attach it to your dog's harness and 'click' the buckle into the seat belt socket and your dog is restrained in your vehicle, preventing driver distraction. It uses the same type of webbing that is used on the seat belt so is tough and strong. The CLICK Car Restraint features a Tri Glide Adjustment and it can be used for both small and big dogs. This also means that you can give your dog as much room to move as you wish. 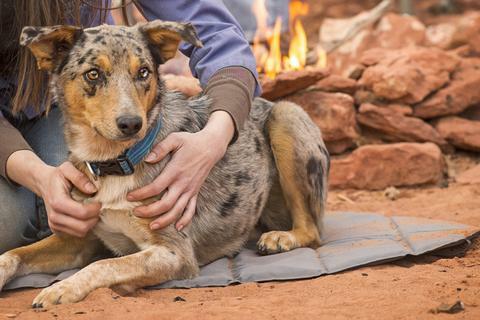 We recommend you always connect it to your dog's harness and not your dog's collar for safety reasons. The Ruff Rider Roadie harness has been on the market for nearly 20 years. 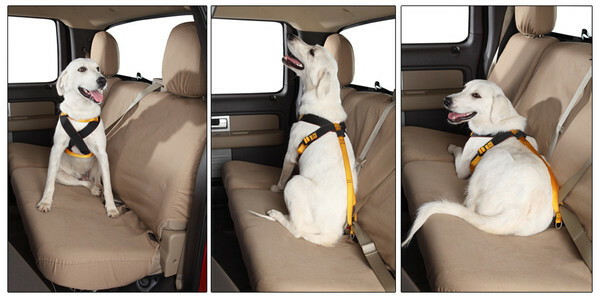 It is made of the highest-quality USA-made nylon webbing and has been tested to US human seatbelt standards for tensile strength and is therefore perfect for the larger breeds. The webbing of the harness goes through the webbing of your car seat belt and does not use any clips to tether your dog into the seatbelt. The Ruff Rider Roadie harness offers 2 secure and comfortable positions (sit or lie down) to attach your dog to the car seat. It is pleated under the arm pits to prevent chaffing during long trips. It comes in a range of sizes and the manufacturer’s website provides a handy sizing guide for an exact fit. 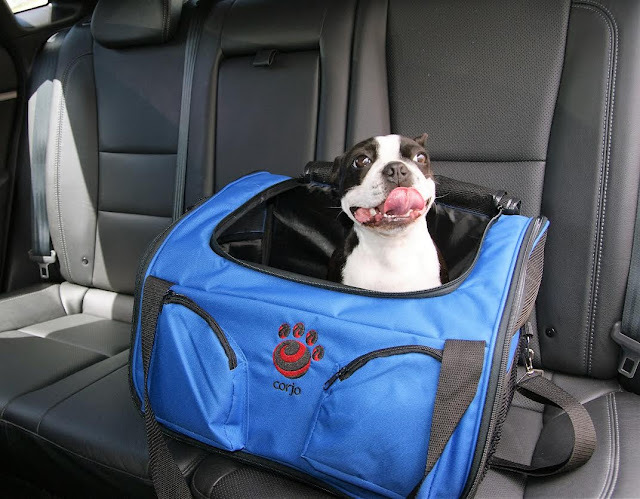 This dog car seat carrier from Corjo Exclusive Pets is designed to provide optimum comfort and convenience whenever you’re taking your pooch on a car ride. It features mesh windows delivering better ventilation, an open zip door for easy access and is made of durable 600D Oxford fabric for long term use. To ensure your pet's safety, the adjustable straps can be hooked around the headrest to prevent the carrier from moving out of place while the vehicle is mobile. You are also able to make use of the safety interior leash for additional safety, preventing your pet from jumping out of the carrier. Available in Medium or Large with a choice of colours: Blue, Red & Sand. The K9 Pet Carrier is ideal for airline travel and one of a select few IATA approved carriers on the market. The carry cage has a sturdy handle grip and tie down strapping points for safe and secure travel, which makes this model a great choice for long car trips as well. Inside the cage there is a feed bowl, water funnel and comfort tray. 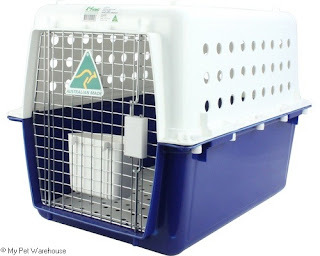 Blue and white with a metal door, the carrier is versatile and meets the strict IATA standards. It comes in a range of sizes from Small to XXL. After long days in the sun, paws, skin and noses can get dry and sore. 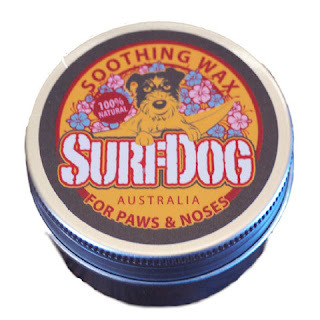 Made in Australia from the finest natural ingredients, Surf Dog Soothing Wax combines moisturisers, vitamins, anti-inflammatories and antiseptic ingredients to soothe your dog’s skin. 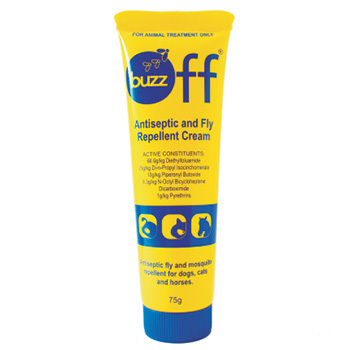 BUZZ OFF is an easy to use cream that kills and repels flies and other nuisance insects to protect wounds and skin from further damage. 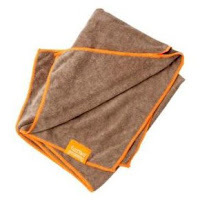 It creates a resistant barrier between your dog, flies and mosquitoes, repelling biting pests. Combining insect repellents, insecticide and synergists for a more effective result, BUZZ OFF can be used on dogs (even cats and horses). Apply a thin smear to the ears and back of your dog. As it contains a powerful antiseptic, it can be freely applied around wounds and on already bitten ears. Going trekking over the holidays? 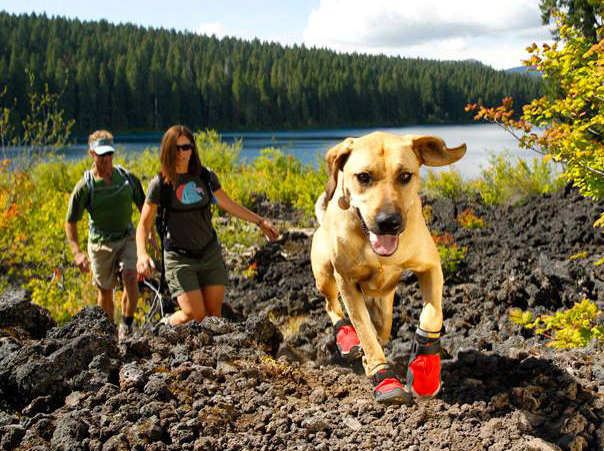 Ruffwear's Summit Trex dog boots will keep your dog safe and comfortable. The Ruffwear-designed outsole provides flexible traction while an integrated stretch gaiter protects legs and locks out dirt and debris. These dog boots will provide everyday traction and paw protection from a wide range of temperatures, abrasive surfaces and unseen hazards, while also improving mobility in older dogs. The Summit Trex boots are great for dogs who engage in moderate activities and don't require a super grip sole. Going camping with your pooch or simply visiting family or friends overnight and you don't want to pack a cumbersome dog bed? The Highlands Pad by Ruffwear is a low-profile sleeping pad with an accordion-fold design for packability and easy transport. Lightweight, closed-cell foam insulates your dog from hard, cold surfaces. The soft, yet durable polyester fabric shell is comfortable and cleans with a shake. As the foundation of Ruffwear's new sleeping system, the Highlands Pad can be used on its own or inserted in the Highlands Bed or the Highlands Sleeping Bag (both which are sold separately . You can mix and match based on conditions, the activity and your dog's needs. 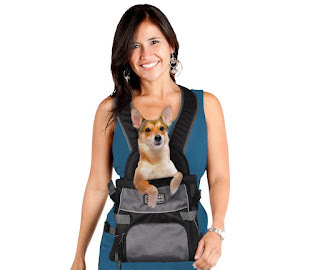 With the Pet A Roo Front Carrier Dog Pack, your dog can follow you on your daily adventures. Designed with sturdy and cushioned material, Outward Hound's pet carrier provides comfort for both you and your dog. With adjustable straps, you can secure the carrier on you and customize the fit to ensure your dog's safety. A leash clip is included inside the bag to give your pet even more security and stop them from hopping out of the bag. The Dog Pack is made of mesh material for better air circulation and features a padded bottom for your pooch's comfort. Available in Small (up to 4.5kg). If you’re planning any water-related activities (or your dog may decide to go for a swim without asking your permission…), a microfibre dog towel in the boot will come in handy for a quick dry. The FuzzYard Microfibre Drying Towel is soft, super-absorbent and designed to cut drying time by half. Disclaimer: Australian Dog Lover does not necessarily endorse or recommend any of the commercial products listed in this article and they are listed for informational purposes only.